Half term this week and one of the perennial problems with school gardening clubs is what to do about watering in the holidays. Particularly pertinent at the moment as we’re still officially in drought in London. Worried that all the pots and containers would dry out during the half term break, I bundled them into my car and brought them home. 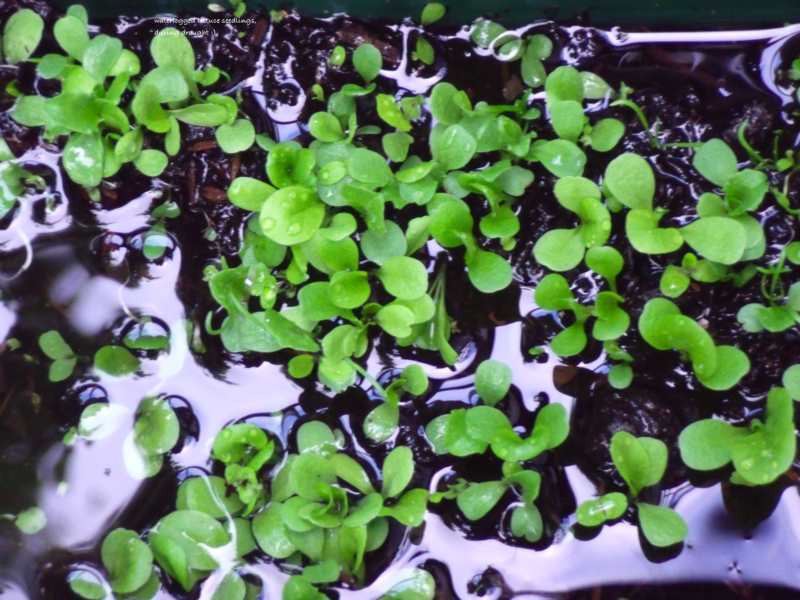 2 window boxes of lettuce seedlings, 1 of radish, a tray of sunflowers and 40 small pots of herb seeds sown just days before half term (with hindsight, not great timing). Categories: lettuce, school gardening | Permalink.